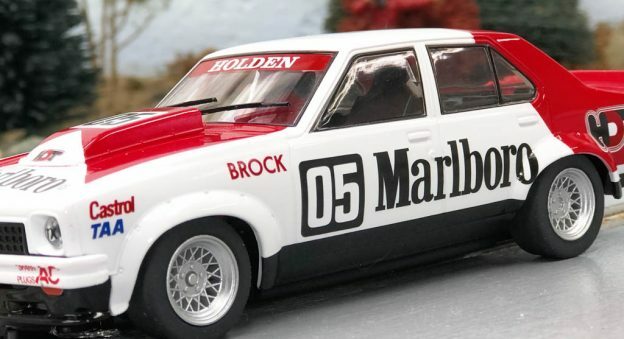 This entry was posted in Slot Car Overview and tagged Scalextric on January 31, 2019 by admin. 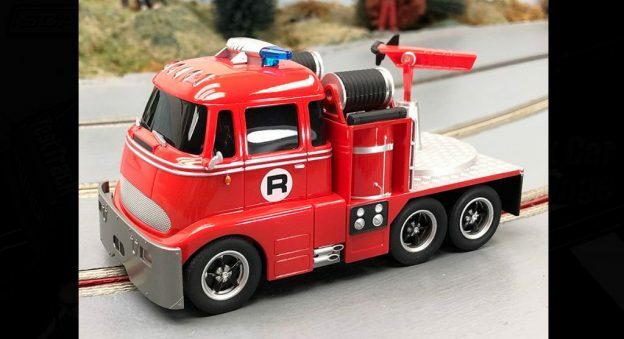 This entry was posted in Slot Car Overview on December 13, 2018 by admin. We knew more versions of this truck were going to happen and this one fits right in with the first releases from last year. This time we have the “first responder” configuration. So now we can get that fire put out using our cannon! I think the detail level is more than adequate. This is a simple trackside novelty and also a mostly fictional creation. So in my eyes in plays the role perfectly. It has lights and sound, just remember the sound functions only on the Carrera digital system. This type of toy is not for everyone in our hobby, but Carrera deserves credit for creating a very unique offering. We see a lot of the same old molds over and over again, so just seeing this kind of creativity once in awhile is refreshing. This entry was posted in Product Reviews and tagged featured on November 15, 2018 by admin. This is yet another slot car I passed on when first released. I am just not a big fan of these modern supercars and the first presentation version in green certainly did not increase my appeal. That was then. This is NOW. Although the Gulf scheme is part of the reason for my renewed interest, it was the feedback from other enthusiasts that really changed my mind. The reports of the on track performance had me anxiously awaiting my turn at the controls. Under the case are parts for the chassis and of course on top is your patch. The round caps are for the chassis to install for chassis flex adjustment. The side pods are for if you went inline using a Slot.it pod. You will need to add screws for the caps which seems odd that they were not included. Also of note is the decals for the car. Tire side markings and the actual Lamborghini logos. Little wonder this car is labeled as a “LB H GT3”. As far as I am concerned, they did a nice job on the outside. The colors and design just work on this car better than I thought. This entry was posted in Product Reviews and tagged Sideways, slot cars on March 3, 2018 by admin. I suppose I am more of an “old school” enthusiast and mostly enjoy the sight of the classics come race day. However, there are those times when a modern Le Mans Prototype car is just the ticket for an afternoon of fun trackside. And for my own personal taste nothing beats the value of a Slot.it LMP. Consistently a well balanced and smooth running slot car that doesn’t break the bank. Markings and overall finish are just fine to my eyes. They usually are with Slot.it. New body changes here compared to first release but the chassis is the same. You might say that a car like this is almost wasted on a simple home racer like myself. This a good example of competition grade gear and in the hands of the skilled racer, it’s a major contender on race day. Well I’m no skilled racer to be sure. But these models show their worth regardless. Sometimes I do not WANT to rebuild a car just to enjoy some laps. It’s nice to just take a car from the case, slip on some tires and GO. That is basically all I had to do and happy for it. So there you have it. Just a smooth running car and I’m not going through a lot of the advanced tuning that many competition enthusiasts do. 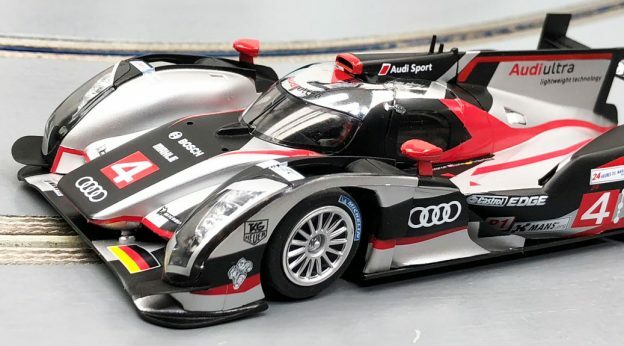 One more modern LMP in the line up for Slot.it. Fans of the series should be pretty pleased and impressed overall. This entry was posted in Slot Car Overview on February 2, 2018 by admin.